It’s a fact that most people struggle to save money. We’ve gathered a list of fool-proof strategies to help anyone looking to give their emergency fund a boost. No one wants to live their life burdened by the lack of money, which is why learning to save money is so important. What ultimately relieves money-related stress is getting past the paycheck-to-paycheck treadmill — that sense that you're running as fast as you can without ever getting ahead. That's why it's so important to have saving strategies for different goals in your life. Not only will it allow you save for unplanned expenditures, but it will also reduce the stress that comes from spending beyond your means. We came up with 17 money-saving strategies that will help you curb expenses, save toward goals, build your bank account, and achieve a better relationship with money—helping you live happier, more stress-free life. Savings plans that actually work? Take a look. Even though 66 million U.S. adults have zero dollars saved for an emergency, that doesn't mean you should be one of them. Because, unfortunately, things happen. You may be laid off and need to pay rent. Unless you want to move back in with your parents or take on a lot of debt, you need to start building an emergency fund now. Setting aside money for emergencies or just, in general, will serve you well, affirms, a chief financial analyst of Bankrate Greg McBride. "If you are not in the habit of saving regularly, whatever you have is going to get wiped out sooner rather than later." America Saves reports that low-income families with at least $500 in their emergency funds were better off financially than moderate-income families who saved less for emergencies. With an emergency fund, you are less likely to use costly alternatives like high-interest credit cards or payday lenders. Tip: Keep the fund separate from your regular savings account. That way you won’t be tempted to spend it and you’ll have extra money on hand if something happens. Bloggers at One Cent at a Time advise you to save a minimum of $1,000 before saving for anything else. They concur with other financial experts, cited by Bankrate, who recommend accumulating a fund equivalent to three- to six-months of living expenses. Setting a goal and making plan to achieve that goal are essential to being a succesful saver. 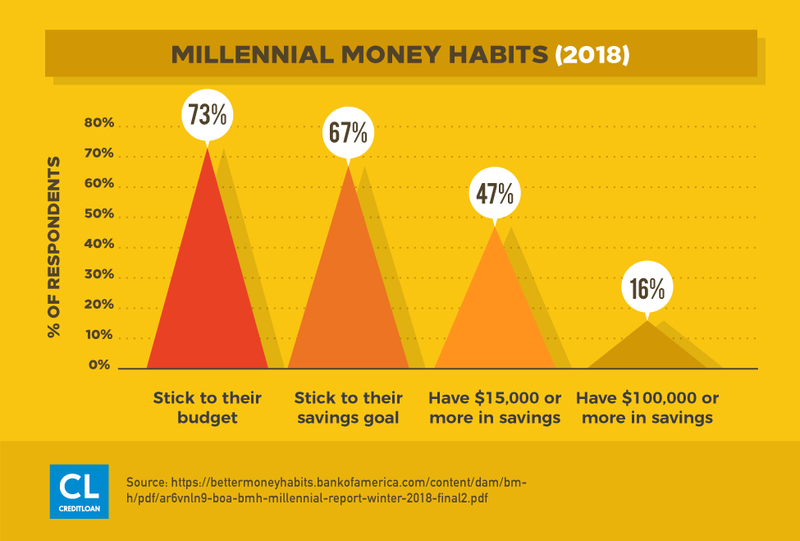 The Consumer Federation of America reports that those who have a savings plan are twice as likely to be successful savers as those who do not. Why is that? Well, a plan is like a map. If you don't know where you need to go, then it's very likely that you'll get lost or stalled. Setting a goal and making a plan to achieve that goal are essential to being a successful saver. Note before you begin: Don't forget Rule No. 1! Make sure your first savings goal is an emergency fund! Once you have an emergency fund, you can set up fun goals like saving for a vacation or Christmas presents. To use this strategy, you'll figure out how much you need to save and then break that down into smaller increments based on how much you need to save. Let's say your goal is to save $700 and you have 10 months to save it. You'd need to save $70 a month, and each month you get closer to your goal. One of the easiest ways to do this is to have a portion of your paycheck directly deposited into your savings. No matter how much you choose to deposit, setting this up automatically guarantees you that you're saving money every time you get paid. And if your employer doesn't offer direct deposit, you can still set up an automatic transfer directly through your bank. As Hayes explains it, you start by setting aside a single dollar. The next week, set aside $2, and the following week, $3. Continue by adding an additional dollar each week. "By the end of the year, you'll have $1,378 to spend on Christmas or vacation—whatever you want to save for," says Hayes. 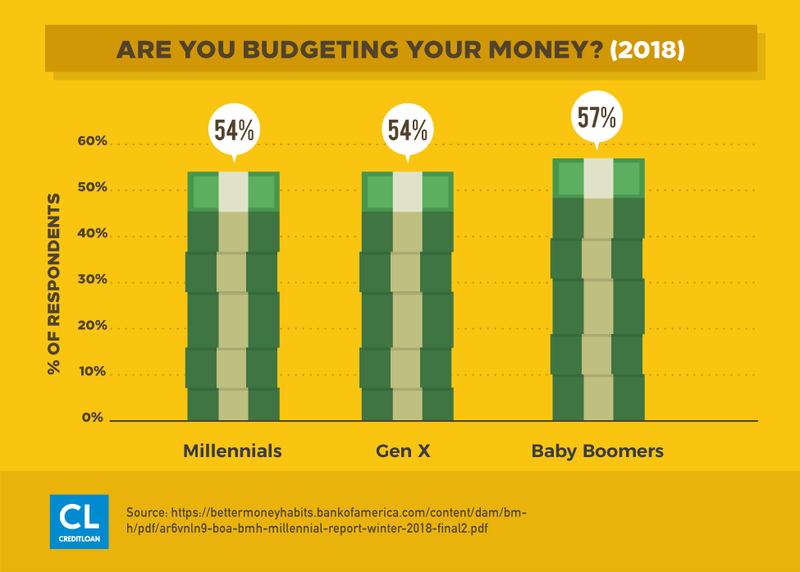 The Millennial Budget website suggests categorizing goals as short-term (one year or less), medium-term (one to three years) and long-term (three-plus years). A short-term goal might be saving for a vacation and you could use the 52 Week method to save. On the other hand, saving for retirement is a long-term goal and you want a 401(k) or IRA. One thing that can torpedo your ability to save is crushing long-term debt. The interest charges eat up the money you could use in other ways. For instance, if you charge a $2,000 vacation on a credit card with 15% APR and make only the minimum payments required, you'll pay more than the original amount – $2,517.67 – in interest alone. If ever you needed further convincing to pay off your debt with a real plan, there it is. Using the Snowball Method you pay off your outstanding balances, from smallest to largest. For instance, if you owe $50 on a Visa card and $100 on a Discover card, then first pay off the Visa. Once you've paid off that Visa, you take the money that was once going there and move it over to pay off the Discover card. In three months, you're debt free! Interest rates are savings-killers. To save money, you need to be smart with credit cards. Pay them off each month, or shop around for a credit card that gives you zero or low interest, as well as one that pays you back with generous reward programs. Or, if you're currently overwhelmed with debt, take steps now to seize ultimate control of your personal finances. Greutman came by her book title, "The Recovering Spender" from personal experience. Her out-of-control spending habits caused her and her husband to sink $40,000 into debt. "I finally decided enough was enough," she says. "I had to change, I had to set boundaries, and learn how to save money." Set savings boundaries based on these weak spots. For instance, in Greutman's case, she avoids going into Target alone and no longer attends at-home parties like Mary Kay or Pampered Chef. "Those are the places where I know I have a problem with overspending, so that's where I've set my boundaries." By setting up spending boundaries, Greutman was able to make great headway on her debt. Within two years, she and her husband had paid off their credit cards, and two years later, they had put their student loans and car payment behind them as well. Budgets aren't just for companies and businesses. They work (very well) for households, too. Without one, you're virtually flying financially blind when it comes to how much you're spending and saving. They don't let blind people fly planes, for a good reason. They crash and burn. Take the lead from Apple, IBM, and other huge and successful companies and create a simple one for yourself. Because it's designed to give you dollars-and-change clarity, it'll keep you on track to building up your savings. Once you have a budget, then what? When Greutman and her husband were strategizing to pay off debt, they cut back on virtually every expenditure. "We canceled cable, got rid of our house phone, stopped eating out, and cut our grocery bill from $1,000 a month down to $200," she reports. "I learned to make extra cash by selling things online, and every single penny we had went to paying off debt." This is a popular budgeting strategy that divvies up your resources, with 50 percent going to essentials—i.e., housing, utilities, food, and transportation; 20 percent to savings; and 30 percent to personal expenditures like clothing and entertainment. Target cuts in personal expenditures, but also trim the "essentials" category by shopping smart for groceries, taking public transportation, and using other saving strategies presented in this article. Setting a budget is one thing, but staying on budget is another. Get everyone in your family to commit to meeting your goals. The website How Stuff Works (Money) recommends that you monitor receipts, purchases, and expenditures. Make adjustments to fit reality, but be diligent about keeping to your overall plan. In one study, the authors found that participants were willing to spend $175 to throw a Thanksgiving party when using a credit card to buy the food, but only $145 when using cash. Greutman recommends using cash, especially in those areas where you typically overspend. "It helps you be more accountable to the actual budget and stick to it." For instance, if you typically overspend on clothing, give yourself a clothing budget—in cash. "Don't continue to use your debit card because you're not going to stick to it," Greutman advises. "Put the cash in a specific place like an envelope or wallet compartment. Keep track of it and use it, and realize when it's out, it's out." Give yourself some "play money"
Sticking to a budget can be tough, which is why a lot of people break down and overspend. Compare it to someone who goes on a strict diet, then cheats by downing a half-gallon of ice cream. Allocating some limited discretionary cash gives you a controllable outlet for your spending urges. "It can be $10 or $50 that you can use for whatever you want—whether it's a cup of coffee or a new blouse," Greutman says. Having some extra money gives joy to people who other might get depressed at the thought of having no discretionary cash. "By giving them a bit of wiggle room, it helps people save money in the long run because they're not going to go out and binge on a big purchase," Greutman explains. Food is the third largest household expense (behind housing and transportation), so targeting your grocery budget for savings can have a substantial impact. As one of the largest monthly household expenditures—comprising nearly 13 percent of total yearly expenses—groceries can be targeted for significant savings. "Usually I can get people a 50% savings on their groceries just by using a few simple strategies," says Greutman. Knowing how stores fill their shelves enables you to stock up on items that go on sale at regular intervals. For instance, if bread goes on sale every six weeks, stock up at that time and freeze what you can't use immediately. "Learning how to buy smart, stock up things when they're on sale, and plan meals around those items is really key," says Greutman. Annette Economides, who co-authored the best-selling book, "America's Cheapest Family Gets You Right on the Money" with her husband, Steve, says an extra freezer is a must if you're serious about saving money on groceries. "When you find deals on meat, dairy, bread, whatever, you can freeze them and capture those savings," says Economides, whose website America's MoneySmart Family presents great money-saving tips. Here's one we liked, "The $400 investment we made in a giant freezer has saved us $2,000 a year." Shopping at discount grocery chains like Aldi can save you more than 40 percent over traditional supermarkets. Economides reports that 60 percent of the items that consumers put in their grocery carts are impulse buys. "The less you shop, the more you save," she says, which is why she recommends shopping just once a week—instead of two or three times. Leave no stone unturned as you look for places to save money. Consider every bill and monthly expense. Yes, every single one! How? Look for ways to trim expenses by exploring less expensive alternatives to what you are currently spending. Try adding up how much you spend at convenience stores or on coffee one month. Multiply that amount by 12 (number of months in a year). You'll be blown away by the cost of the "smallest" things. Some of your regular bills might seem insignificant it all builds up over time, which can become a major hindrance for you, eventually. Carving out some time to call utility companies to discuss better pricing plans for your needs can have tremendous value when you add up your savings over the course of the year. Consider that cost-cutting strategy and a few more. Save eating at a restaurant only for special occasions—and when dining out with family, look for those establishments where "Kids Eat Free." Also, don't overlook what you can save by taking your lunch to work. "If the average lunch costs $7 and you bring a meal to work three times a week, you'll save $1,000 every year," says Economides. Look at cable or satellite TV, telephone service, and cell phone and Internet bills. "Call existing providers to find out if something is cheaper, and if not, look for an alternative," Hayes suggests. An example is to get your entertainment fix by subscribing to more economical choices. With the average monthly price of cable exceeding $100 and satellite also on the rise, consumers can substitute "a la carte" entertainment choices like Netflix, Amazon Prime, or Hulu for as little as $8 per month and can subscribe to live-streaming options such as Sling TV for as little as $20. For your cell phone, consider teaming up with family members to share a plan or explore a pre-paid plan for even more savings. Clark, a money-saving blogger, has a few more tips on how to save money our your TV bill. One of them is knowing when to call up the "customer retention" center and negotiate a better deal. Economides agrees with the famous TV gecko, recommending you get auto insurance quotes at least every three years. "Rates are calculated by zip code, so if it's been a good year in your zip code, you could save a lot of money," she says. Your greatest monthly expense is likely to be your home. 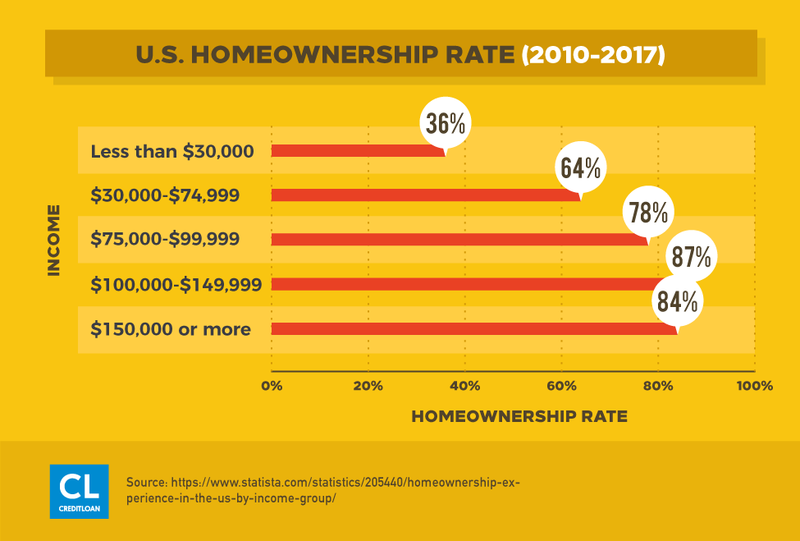 In fact, the average monthly mortgage payment is almost 16 percent of buyers' income—a seven-year high. Sometimes, the prestige of living in a home with bigger square footage comes with the pain of taking on a much bigger mortgage payment than you can comfortably afford. When you own your home but are "trapped" by having to pay large mortgage payments and/or taxes, you are what they, "house poor." Many people measure success by the square footage of their home, but a smaller home can make you more content and financially solvent, says Greutman. Given their massive debt, she and her husband made the decision to downsize from a 3,200-square-foot house into a modest 800-square-foot townhouse. "We saved ourselves about $1,200 a month, which freed up money to pay off debt a lot faster," she says. Eventually, Greutman and her husband moved into a larger home to accommodate their family of four children, but it was a modest upgrade. "It was half the size and a third of the price of our prior home," she says. "We're snug, but we love it." Make biweekly payments, which will pay down your principal more quickly. Pay your principle below 80 percent to eliminate the cost of private mortgage insurance. Shop for less expensive homeowner's insurance (possibly by bundling with your auto insurance) to reduce your escrow payment. Consider such ideas as adding insulation and using less expensive cooling sources (i.e., ceiling fans and attic fans instead of the A/C). When buying appliances, looking for energy-saving options. There's some prestige in buying something new- a new car, new outfit, new furniture. Lucky us—thrift shop chic is actually a thing now. The Association of Resale Professionals reports that there are more than 25,000 resale, consignment, and not-for-profit resale shops in the U.S. Many times, the goods are so well-cared-for that you can't tell the difference between new and pre-owned. "Consignment stores are amazing," says Economides. "If you can buy gently used, you'll pay 10 cents on the dollar." Turn to online resources such as Craigslist and eBay to purchase used items instead of new. Craigslist reports more than 80 million classified ads each month and 50 billion+ page views, so there's a whole lot of saving going on. Each week, Americans hold more than 160,000 garage sales, according to StatisticBrain, and nearly 700,000 people shop at them. The saying "One person's trash is another's treasure" certainly applies, and you get the fun of haggling with neighbors over the price of a used toaster. Something you no longer wear might be just right for a friend—and vice versa. And if you don't need the clothes permanently, consider fashion rental services like LeTote and RentTheRunway. There are two ways to build savings—cut expenses and add income. While most saving methods focus on the former, don't overlook the potential of the latter. Selling items you don't need anymore is a great way to pick up some extra cash. "I think anybody can find $1,000 of stuff that's just lying around their house," says Greutman, adding that the money can be used to set up your emergency fund. There are plenty of places to sell. We've already mentioned Craigslist and eBay, but Greutman also recommends using apps like Poshmark for buying and selling clothing, shoes, and accessories, and an app called 5Miles that helps connect local buyers and sellers. Thredup is another potential source for second-hand clothes. If you still need extra cash, consider an extra source of income like working a part-time job, driving for Uber, or signing up with Task Rabbit to offer freelance labor in your area. Hayes delivered pizza to help pay off his debt, observing that the great thing about many of these side hustle jobs is they offer flexible hours. "Anybody can work a side hustle so long as they find something that works with their schedule." Savvy consumers do their homework and make use of tools that can help them save and budget. Hayes suggests using apps that facilitate your saving goals. One that he likes is Digit, which will automatically transfer money into your savings account based on your spending habits. "They analyze your spending habits and can (help you) save money," he says. Another one to look at is Acorns. To make the most of coupons, Greutman recommends the following apps: Favado: Use it to compare prices across various local stores and get the best deals. Ibotta: Unlock rebates at grocery stores, convenience stores, and restaurants. Checkout51: Browse through offers and submit receipts to get the cash from those offers. Just about every type of retail business has a loyalty card—pharmacies, gas stations, sandwich shops, pet stores, movie theaters, and more. Use these cards for instant discounts and to earn points redeemable for cash or free products. In some markets, such as the Midwest, gas prices rise and fall in a cyclical pattern, with midweek being cheaper than the weekends. Additionally, many observers report that the best time to fill your tank is first thing in the morning, since stations tend to raise prices during the middle of the day. Use the website GasBuddy to track the lowest gas prices in your area. If you know what things cost, you'll be better equipped to spot a good ideal—and reap the savings rewards. "There's always stores that have overstocks or items close to expiration that they're marking down," says Economides. "If you know your prices, then no matter where you go, you will always find a deal." Trade higher-priced box office prices for high school or university concerts and theatrical productions. Visit museums on "free-admission" days. Watch a parade or hot-air balloon race. 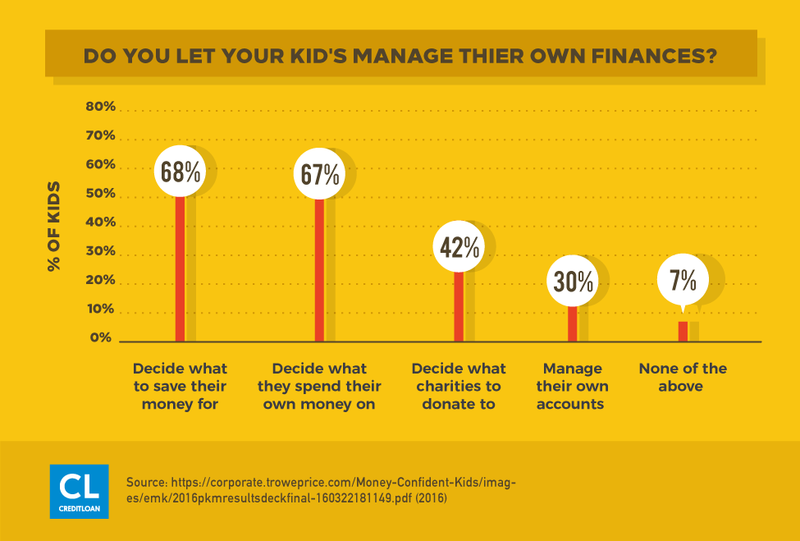 Parents can achieve greater success in money management if they set an example for their children. Rather than indulging your kids' whims by spending money on toys or activities with fleeting value, give them the lasting gift of a firm financial foundation that will be a key to the future savings success. Your kids won't be spoiled and you'll be saving money for something more worthwhile (to them and you) – your financial security. "We have a whole kids and money program called Money Smart Kids," reports Economides. Economides and her husband did this by instituting a simplified budget system. "We used cash envelopes," she explains. "Payday was once a week. We taught them how to shop thrift stores and rummage sales, and they all grew up with frugal skills." Make sure you kids have "skin in the game"
If you're saving for a trip to Disneyland, make it a family-wide effort. "Everybody saves their money for it," Economides says. While the parents pay for food, hotel, and transportation have the kids pay for their own souvenirs—and if they're older, possibly their park tickets as well. That way, everyone experiences the financial responsibility of saving for something special. Giving kids an allowance and teaching them to save will help them grow up to be financially smart adults, according to a recent article in U.S. News and World Report. It gives them appreciation at an early age for the things that money can buy. "The younger they experience ownership, the better because that will teach them to take care of what they have," Economides says. If you need to get something done, there alternatives to hiring a pro or looking for outside resources. One of Economides' saving strategies is to do for yourself what you otherwise might pay people to do. "We make our own birthday cakes, and mom does haircuts," she reports. "I had a barber give me a quick tutorial for the boys." If you need the specialized skills of a plumber or electrician, it makes sense to hire a pro. But you might be able to accomplish other chores, like power-washing the deck or painting the kitchen, yourself. "If you've never done it before, go on YouTube, and learn how to do it," Economides suggests. If you don't have enough skill to do something yourself, contact a university or college. You might be surprised what's available to you—everything from cosmetology students who can cut and style your hair to graduate-level dental students who can extract a wisdom tooth. Indeed, they helped writer Paul Sisolak save $350. Depending on the type of gym membership you choose, you could spend anywhere from $25 to $200 per month. Save that money by walking, biking, or jogging around the neighborhood or buying some inexpensive or used exercise equipment for your home. If you love the gym experience too much to give it up, consider an option like Planet Fitness for $10 per month, or get creative by exploring reduced, off-peak hours as a means of stretching your fitness dollar further. It may seem like a long way away, but the investment decisions you make today could mean hundreds of thousands of dollars for you in your retirement years. U.S. News & World Report recommends taking maximum advantage of employer matches of contributions to your 401(k). This is like getting free money. The tax-deductible aspect of the Traditional IRA makes it a great investment. Or consider a Roth IRA for more flexibility. Since you set it up pre-taxed money, you can withdraw the contribution part at any time without a tax penalty. The old saying, "Don't put all your eggs in one basket," applies. A mix of investments is protection against everything going south at once and will give you more stable earnings. You're saying and paying off debt for a reason. Identify what that reason is so you have a clear idea of what you're trying to achieve. "People may say, ‘I just want to get out of debt.' Okay, but why are you trying to get out of debt?" Greutman asks. "What are you trying to achieve? A different lifestyle? Financial freedom? Less stress? Write that down, put it on your wall or your fridge, and that's going to be your motivator when times are tough." Greutman compares changing your money habits to learning to ride a bike. "You know you'll fall, but you have to get back up. Realize that that's part of the process." Even when you make a mistake, focus on your ultimate goal as motivation to keep going. Says Greutman, "If you can stick to your ‘why,' you're going to have a lot greater chance of success." The time to take action in changing your saving strategies is now. You can think like a saver, be creative, and constantly keep the big picture in mind with the tips shared here. Put a dollar in that jar! Remember, your ultimate goal with these saving tips is to live a better and more financially secure life – surrounded by people who love and respect you, so the only stress you'll have is: How to enjoy life, not just survive it. So now we have to ask: what saving tricks have you used that actually worked?